SKERRETT, JOHN, army officer; b. c. 1743 in England; d. 18 Aug. 1813 in Heavitree, England. John Skerrett entered the army on 19 Oct. 1761 as an ensign in the 19th Foot, and he served for 30 years with that regiment in Ireland, North America, and the West Indies. In 1791 he exchanged as a major to the 48th Foot, and in 1794 was promoted lieutenant-colonel in command of a newly raised West India regiment. On its disbandment he returned to England, where on 1 Jan. 1798 he became colonel of the Loyal Durham Fencible Infantry. His success during the Irish rebellion when in command of the fencibles at the battle of Arklow on 9 June 1798 brought him the appointment of brigadier-general to the forces in Ireland. 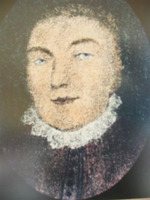 In 1799 Skerrett arrived in Newfoundland to take over the military command of the island from Lieutenant-Colonel Thomas Skinner, who remained as his second in command. At that time the St John’s garrison of some 560 troops consisted mainly of the Royal Newfoundland Fencible Regiment, raised by Skinner soon after the outbreak of the French revolutionary wars. A high proportion of the men of the regiment were of Irish extraction; 80 of them, Skerrett learned, had taken the oath of the Society of United Irishmen. Strict disciplinary measures introduced by the brigadier resulted in many desertions and a plot to mutiny and assassinate Skinner and his officers. The uprising, planned for 20 April 1800, was averted because Skerrett kept the regiment at exercise all that day following a particularly unsoldierly performance at church parade in the morning. An attempt four days later failed. Skerrett had the ringleaders tried by court martial: eight were hanged and eight others sentenced to life imprisonment. With the signing of the Treaty of Amiens in 1802 Skinner’s regiment was disbanded, and a British regiment sent to St John’s after the mutiny was recalled to England. Hostilities between Britain and France were soon renewed, however, and in June 1803 Skerrett was ordered to raise “a Corps of Fencible Infantry in North America.” Despite strong competition from the fishery and a ban on recruiting in any year before the close of the fishing season on 25 October, by the summer of 1805 Skerrett had enrolled two-thirds of his establishment of 1,000 men. When in mid June this new Royal Newfoundland Regiment was transferred to Halifax, N.S., in an exchange with the Nova Scotia Fencibles, Skerrett, who had been promoted major-general on 1 Jan. 1805, remained in St John’s as commander of the Newfoundland garrison. 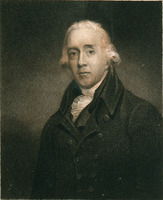 In September 1807, on receiving reports that the United States was preparing for war against Great Britain, Skerrett, who while still in St John’s had assumed the acting command of the forces in Nova Scotia, moved to Halifax. Shortly afterwards his eight-year stay in British North America ended with his appointment to the staff in Jamaica, where he briefly held the command of the forces. He subsequently saw service in Sicily and was promoted lieutenant-general on 4 June 1811. When he died two years later he was survived by his widow and an only child, John Byrne, who served with distinction under Wellington in the Peninsular War. Although Skerrett claimed that he had only a “slender fortune,” his memorials seeking some substantial mark of royal favour in recognition of his services resulted in nothing more tangible than cordial thanks for all he had done. It would appear, however, either that his fortune was less slender than he professed or that a belated recognition did indeed materialize. He is reported to have left his son the not inconsiderable inheritance of £7,000 a year. At a critical time in its history Newfoundland was fortunate in having so experienced a soldier as John Skerrett in command of its garrison. He never hesitated to express to the Colonial Office his concern for the security of Newfoundland and the need for more troops to defend it against both foreign attack and internal uprising. He accused the home government of neglect “in every instance,” and declared that “legislating for this island in Portman Square will never do. It will never be preserved by that means.” Not confining his efforts merely to matters of defence, Skerrett urged reforms to better the living conditions of the Newfoundlanders. On his departure the leading men of the island expressed their “highest esteem for the zeal you have uniformly manifested to promote the welfare of this island,” and successive governors were to pay tribute to the general’s efforts for the public good. PANL, GN 2/1, 15, 17–19. PRO, CO 194/42–45, 194/49 (mfm. at PAC); WO 25/40, bundle 18; 25/748. Gentleman’s Magazine, July–December 1813: 401. Royal Gazette and Newfoundland Advertiser (St John’s), 1807. G.B., WO, Army list, 1763, 1793, 1796–97, 1799, 1812. Richard Cannon, Historical record of the Nineteenth, or the First Yorkshire North Riding Regiment of Foot . . . (London, 1848). J. W. Fortescue, A history of the British army (13v. in 14, London, 1899–1930), 8–10. Russell Gurney, History of the Northamptonshire Regiment, 1742–1934 (Aldershot, Eng., 1935), 85–88. G. W. L. Nicholson, The fighting Newfoundlander; a history of the Royal Newfoundland Regiment (St John’s, [1964?]). J. J. O’Connell, The Irish wars; a military history of Ireland from the Norse invasions to 1798 (Dublin, ). Prowse, Hist. of Nfld. (1895). H. [G. W.] ith, The autobiography of Lieutenant-General Sir Harry Smith, baronet of Aliwal on the Sutlej, ed. G. C. M. Smith (2v., London, 1901), 1. D. A. Webber, Skinner’s Fencibles: the Royal Newfoundland Regiment, 1795–1802 (St John’s, 1964). G. W. L. Nicholson, “SKERRETT, JOHN,” in Dictionary of Canadian Biography, vol. 5, University of Toronto/Université Laval, 2003–, accessed April 24, 2019, http://www.biographi.ca/en/bio/skerrett_john_5E.html.